Property: 8015 Midnight Pass Rd. True Island Living , Beautiful Bayfront Home, offering Full Bay views from this 3 Bedroom, 3.5 Bath Custom Home, Hardwood floors throughout, Custom Kitchen with granite and Stainless Steel appliances. Master suite with private bath, awesome views and flat screen TV. 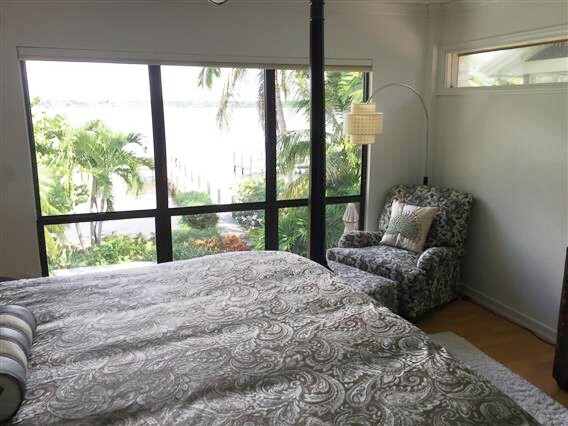 Private heated pool, tropical location and private dock, (BOAT & JETSKI LIFTS ARE NOT FOR GUESTS USE) 2 car garage, Little Sarasota Bay, washer/ dryer. 1 mile south of Crescent Beach access and 1 mile north of Turtle Public Beach. High Speed Internet access (Siesta 4-Rent is not responsible for tech support), 3TVs 3 DVD players. Small dog welcome. NO SMOKING INDOORS, Sleeps 8, 1 King, 1 Queen & 2 twin & sleeper. 1 month min.